Converting emails to HTML is rather specific task that is feasibly for very few converters. Total Thunderbird Converter Pro can convert Thunderbird emails with attachments, exporting all the data to HTML format, making them suitable for populating websites with content. In HTML format the data can be viewed in a standard web browser. This solves the problem of incompatibility between different mail clients and mail formats. Mention that this Thunderbird converter automatically connects to your Thunderbird client, displaying all mailboxes' content. If you have a few mailboxes in your Thunderbird, you can convert emails from all of them. 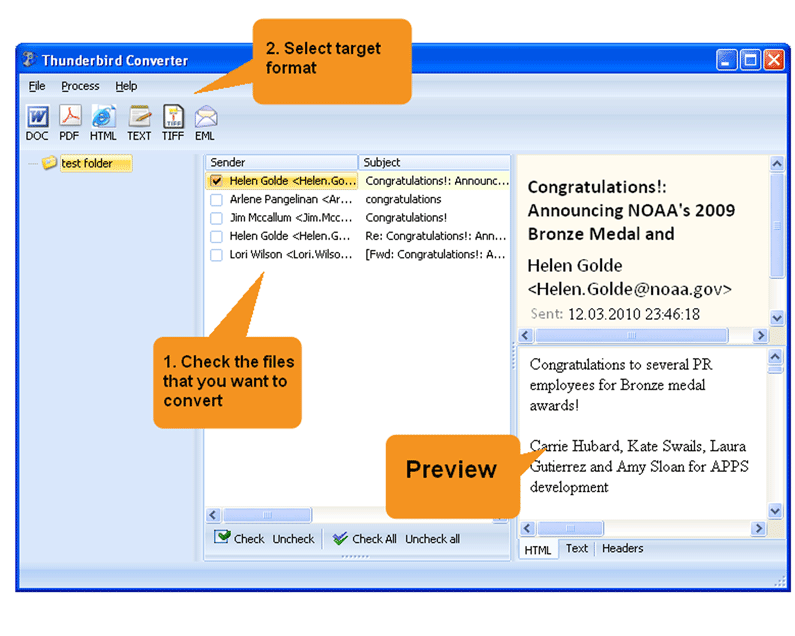 This is batch converter that can convert many emails at once. This is a serious time-saving advantage if you deal with lots of messages. 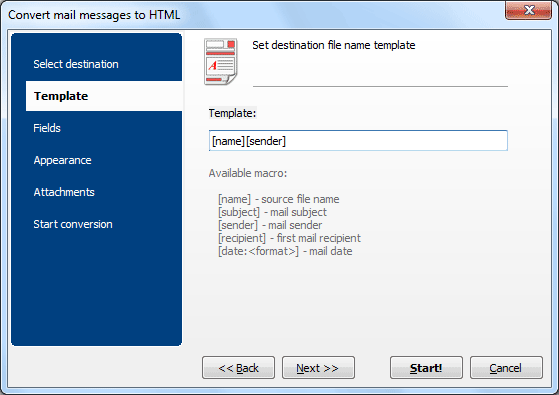 Thanks to filename template feature you can be sure that HTML copies of your emails will be stored in proper order. You can assign ordering by counter, subject, date, etc. It is extremely useful when you convert Thunderbird to HTML in batches. Each email will be converted to separate HTML file, fully correct in terms of HTML coding. 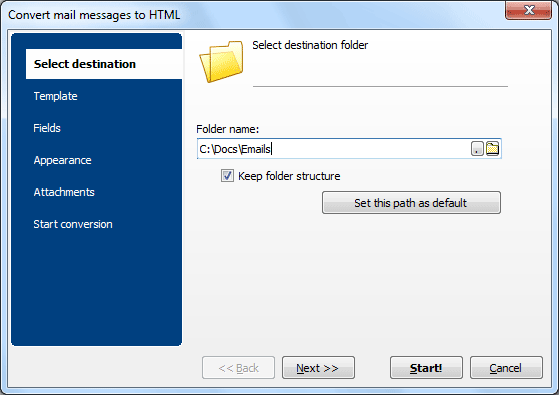 For attachments the program offers converting them to HTML (if they are documents or messages), inserting images to HTML email copy, storing attached files/messages into separate folder. Processing different files in different ways you will avoid errors when export emails from Thunderbird to HTML with attached files. As a variant you can only render attachments info. All these features are available via graphic interface, as well as via command line. Choose the way that suits you best. Total Thunderbird Converter Pro is updated and available for download. Try it now! How to turn Thunderbird emails with attachments to Word? How to turn Thunderbird emails to DOC with attachments? How to turn Thunderbird Emails to PDF with attachments? How to turn Thunderbird Emails to TIFF with attachments? How to turn Thunderbird emails to TXT with attachments?